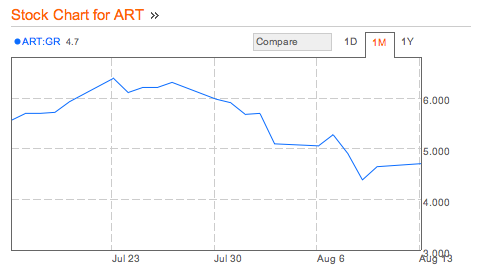 On August 8, 2012, artnet convened its annual shareholder meeting which lasted 13 hours, delayed from July 11, 2012. Hans Neuendorf, former CEO and now consultant, along with Jacob Pabst, the new artnet CEO and Mr. Neuendorf's son, successfully implemented limits to shareholders rights, meaning in the future, changes to the company statute will require the backing of stock-owners representing three-quarters of the company’s capital. This plan thwarted Redline Capital's takeover attempt of arnet AG. By law, Redline Capital must publicly announce the terms of its takeover bid of artnet AG. The Chairman of Redline Capital is Vladimir Evtushenkov, the Russian billionaire who controls Sistema JSFC, a Moscow-based investment company. Mr. Neuendorf currently owns 26.5% of artnet, and over the last several months has furiously purchased artnet stock, spending approximately €179,598.06 for 43,526 shares, or an average price of €4.126 per share. On Friday, artnet AG (ART:GR), closed at €4.640 per share. Even though artnet would benefit from the cash rich Redline Capital, Mr. Neuendorf vehemently declined Redline's takeover attempt stating "we do not need investors who are interested in raising their profile and profit instead of in art.”. For the most recent six month period, artnet AG reported a $1.5 million net loss, and the value of the company decreased to €24.4 million euros. In addition, artnet's cash position declined by -$1.1 million in this same period, decreasing to only $1.6 in the period ending 6/30/12. Although Mr. Pabst stated its auction business is "growing 23 percent annually, with as many as 70 sales a week", artnet Auctions, which relaunched in 2008, continue to struggle. 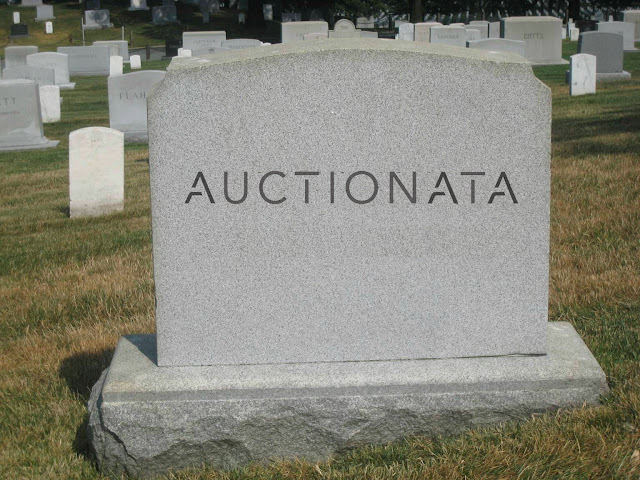 An analysis of artnet auctions through 6/30/12, indicates the company's online auctions totaled $1.8 million, translating to about 37 lots per week with an average sale price of only $1,844 per lot. Minority shareholders stated they plan to initiate legal proceedings against artnet’s management and Redline Capital is considering similar legal action. artnet's dire financial situation could be complicated by legal proceedings at a time when an capital infusion is sorely needed.